A cowboy rides into town on Friday, two days later he leaves on Friday. How did he do it? * Riddles aside, this week’s blog has been ruminating on securing the future with our new UKFast acquisition, and why you should enter the Digital Entrepreneur Awards now. Right now. 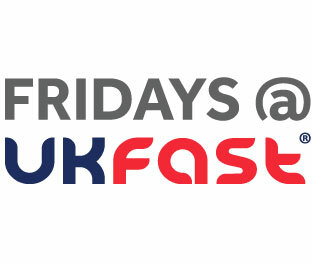 We’ve also got a discount for the UKFast Salford 10k (and at least one million logically sound reasons to take part), and the lowdown on the Diane Modahl Sports Foundation grad ceremony at UKFast! Here’s the best of this week’s rest. Yesterday was a dark day for lots of BT customers after a service blackout left them without broadband and telephone service, with the online services of a few banks hit too. The company acknowledged the service was down around 9am yesterday and it sounds like it’s still ongoing. It’s a pretty devastating amount of time in the digital-driven age we live in. Although it’s inevitable that issues will arise, incidents like this show the importance of having a data centre provider you can count on to have protection in place and react quickly; when you’re choosing who to entrust your data with, ensure they have full redundancy and backup power, so that if disaster strikes they’ll be able to deal with it, stat. In almost every sector digital skills are now a must – you’re approximately 5.762 million per cent more employable if you have some tech in your tool kit. And yet a new report looking at digital education, skills and confidence, commissioned by Ashok Vaswani, chief exec over at Barclays UK, has found that we’re a little behind in coming forward, digitally speaking. Only 16 per cent of Brits would be comfortable building a website, compared to 39 per cent in Brazil and 37 per cent in India, for example. That’s pretty bleak considering that most businesses now have online offerings. “In the previous century, most of us had to cope with just one big shift in technology in our career or lifetime, and we’ve been able to rely on our early education to get us through,” said Vaswani. We’re also behind on digital security practices, and digital training in the workplace according to the research. It couldn’t be easier these days to get trained up – free online courses like codeacademy.com, which teach you to code, have made tech incredibly accessible – so skill yourself up and promote it in your workplace too, the future has arrived! Completely non-tech-related top tip of the day – make sure you thoroughly wash mixed salad leaves as it sounds like this could be the source of an E. coli outbreak that killed two people and infected more than 150 people in the UK. Stay safe! *He was either really lucky because Friday came twice that week or his horse was named Friday. You choose, you ballers, because it’s Friday!